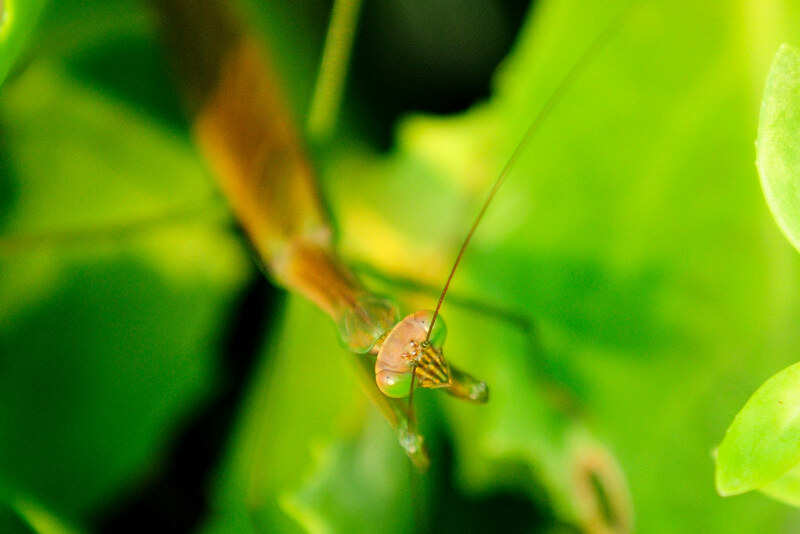 I didn't see the two praying mantis (or is it mantii?) buried in the foliage of the Sedum as I was taking pictures of the bees. I was secretly hoping the monarch butterfly would return to the flowers, but she never came back. September brings the change of the season, apparent with the emergence of fall flowers and cooler days. I hope we'll find other hidden surprises, like the eyes watching me from the leaves. Ok - that is a great photo but Ewwwww!